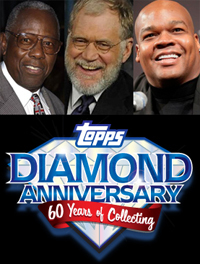 To help spread the word about their 60th Diamond Anniversary, Topps has enlisted the services of "Hammerin" Hank Aaron (in the New York market) and Frank "Big Hurt" Thomas (Chicago). The highlight of these appearances will be Hank's appearance on the Late Show With David Letterman on Wednesday night (2/23), where Hank will have a special surprise for Dave. 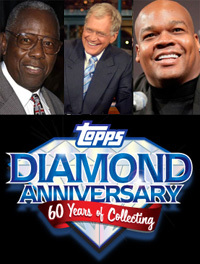 Below is a look at the complete list of appearances scheduled for both Topps pitchmen. Make sure to check your local listings for specific air dates and times. Sirius XM “Mad Dog Radio"